The blockchain is set to shake up the world of eCommerce in the same way that the world of eCommerce shook up traditional retailers. Popular online platforms have already drastically altered the way consumers shop. By offering lower prices than traditional stores coupled with the convenience of being able to order from anywhere, web-based markets have changed consumer habits and even caused the bankruptcies of some old stores who weren’t able to adapt. While they’re still expanding, eCommerce companies are starting to feel the pinch of a crowded market. 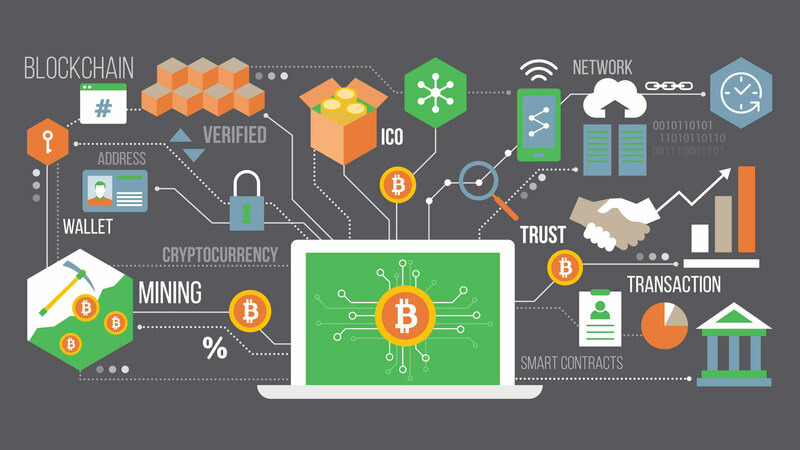 Blockchain technology is continuing to innovate, however, and businesses that adapt to the new paradigms it brings will be able to weather the storm. These companies will enjoy heretofore unseen levels of security and ease of information interchange as a result of incorporating cryptographic records into their business operations. Media forecasts predict that the online retail market in the United States will continue to grow until around 2020, at which point it will become stagnate. One of the main reasons has to do with the fact that eCommerce companies have to invest so much in developing content for their portals. Product reviews, videos, photographs, written descriptions and everything else a consumer might look at when they’re shopping had to be created by someone. Digital assets are seldom owned by those who create them, however. Regular shoppers write product reviews, which often become the property of the company that runs the portal they were posted on. Merchants who posted pictures and videos also find that their assets eventually become the property of the portal rather than their own business venture. Over time, sales information can be used to manipulate customer patterns and this is making secure blockchain technology look like a better option all the time. Amazon’s statisticians use the big data points they collect to better promote their own products. By arbitrarily advertising their own goods over those of merchants who sell through the portal, they’re making it rather difficult to succeed for retailers who sell the same sorts of products that Amazon’s parent company does. This is especially true of highly competitive markets like those involved with Alexa-based consumer electronics. Merchants are looking for a better way to handle their problems, so they’re quickly turning to blockchain technology. Any market based on blockchain code is decentralized by its very nature. Since there’s no single authority that’s able to create fixed prices for goods and services, consumers are naturally able to find the lowest prices possible. Retailers are also able to maintain complete control of digital assets since the ownership of these materials is stored using the same cryptographic hashes that everything else inside of a chain has to be stored in. Retailers dealing with a crypto store are able to tokenize their operation. In theory, merchants can launch initial coin offerings directly on the store the same way an exchange issuing a new cryptocurrency might. They can develop their own business plan that might include user incentives via referrals or token rewards while also sharing details with social media followers. Those who write reviews can also receive instantaneous rewards for their work. Keep in mind that this kind of a system doesn’t encourage dishonesty. In fact, the anonymous nature of projects like the new ECoinmerce site encourages stark honesty in product reviews. Consumers, as a result, will know exactly what they’re getting before they buy it. One of the top reasons why eCommerce business needs to embrace blockchain technology involves their ROI. Businesses that switch to using cryptographic hashes don’t have to track their supply chain. Real-time ledger updates take care of that. They won’t need to hire staff to monitor and update information. More sophisticated businesses won’t have to watch product manufacturing times or shipment data any longer either. Testing products to ensure their genuine also becomes a thing of the past in this sort of scenario. When a producer writes on a blockchain that a product comes from Taiwan, those involve can be sure that it does originate from Taiwan. Shipment and production information is all verified as part of the cryptographic hash technology that powers blockchain, so companies won’t have to worry about a slim ROI due to receiving a shipment of inferior products. Credit card transactions fees continue to be the bane of many online retailers. The issue has become so serious that several recent national lawsuits have focused on it. Most eCommerce storefronts would love to eliminate payment system fees. Even alternative systems like PayPal charge large fees in spite of their popularity. The problem goes even deeper if we look at both the time and the cost for a large transaction to complete these days (you can check the table here for popular examples). Blockchain-based payment ledgers place all payments directly on the blockchain itself, which eliminates the middleman. Each transaction happens on the chain so it never involved a third-party company that deals with credit cards or bank accounts. P2P transactions happen right on the chain as well, so individual consumers would be able to make out their own arrangements. Since the decentralized nature of a ledger doesn’t involve any authority that could collect fees, neither the consumer nor the merchant is responsible for any. While some critics say that this kind of system could hurt consumers who get shipped defective products, the opposite is true. A blockchain-based retailer would have a much lower chance of accidentally shipping a defective product in the first place, but if they did consumers would be in a better position to make a warranty claim. A company trading over a real-time transaction ledger can easily provide warranty information when customers need it. Warranty dates get added to each block that gets created on the chain when someone buys something. Easy access to receipts in this kind of environment lets consumers know exactly how long they have to return something and what’s covered under the warranty. Traditional eCommerce firms often don’t have this kind of system in place, so a customer doesn’t know what’s covered when they buy something. It’s also helpful for B2B purchasers since they might need a full receipt to add to their corporate expense account. With these small touches increasing the quality of service available to customers, it’s not hard to see many of them flocking to blockchain-based businesses. Existing eCommerce businesses are seldom blockchain savvy. They don’t have any experts currently on their staff. As blockchain technology continues to revolutionize online shopping, these companies might start to work with trusted third-party developers so that they can take advance of ledger-based transactions. Smaller retailers have the most to gain from this technology. Retailers who may have struggled to compete because of the rules imposed on them by larger eCommerce portals will be able to dictate their own pace in a blockchain-based environment. As businesses make the jump, consumers won’t be far behind. Blockchain will also be affecting logistics and major supply chain and this is an answer to new consumer trends that complicate the supply chain. Great content, Philip! I really believe that the eCommerce industry is going to explode with decentralized marketplaces in near future.